NBAA’s Houston Regional Forum will bring current and prospective business aircraft owners, operators, manufacturers, customers and other industry personnel together for a one-day event on March 14, 2019, at William P. Hobby Airport (HOU). This conference will feature speakers that are experts in aviation finance, aircraft utilization options, regulatory topics, tax planning and risk management. This event, held at NBAA Headquarters in DC, gives flight department managers key information about safe operations, regulatory compliance, basic management practices and more. Join thousands of top business aviation leaders, entrepreneurs, and other purchase decision-makers for ABACE2019. The 2019 NBAA PDP Course – Leadership for Aviation Professionals™ – is an intensive exploration of proven techniques for better leadership in aviation. Designed specifically for aviation professionals, it is an opportunity for supervisors and managers in the aviation business to learn the skills and techniques that will make them more effective in this demanding environment. The Certified Aviation Manager (CAM) Study Guide is designed to help prepare individuals to take the CAM exam. It provides a description of the CAM exam, a breakdown of the domains, a list of primary and secondary reference material, study tips and 100 sample exam question and answers. CAM exam questions are updated on a regular basis in response to changes in corporate philosophies, strategic visions and government regulations. In turn, the CAM Study Guide is also periodically revised to ensure that is up-to-date and in line with changes made to the exam. 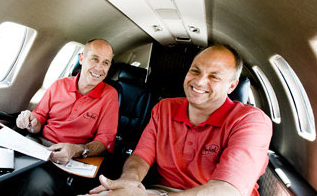 The CAM Study Guide is not included with NBAA membership. It must be purchased separately using our online order form. Purchase access to the CAM Study Guide for the duration that best fits your study schedule.